Education in America has been going by the wayside. This has been because of a variety of factors. Due to this decades-long intellectual pulverization the US ranked 36th in the world1, and unfortunately our skills in science, math and reading are also deteriorating2. We can now add to that history. Such measures will only serve to further dumb-down students nationally. Charlotte Iserbyt, who is a whistleblower that worked within the innards of the education system, is also author of the extensive and incisive The Deliberate Dumbing Down of America. This book, more so than any other, covers the breathtaking scope of de-education that has been taking place behind the scenes in ‘modern’ American Education. Taken in conjunction with the above event, it is an ominous portent of the direction in which education is heading into. It would not be surprising to see further deconstruction of the edifice of the American Education system since this agenda echoes far deeper than most realize. Top-down control of education indoctrination is only one arm of the full spectrum dominance protocol engaged by the comptrollers. But it is a necessary arm because it renders people intellectually helpless within a grid of constant miseducation/misinformation. Only those that choose to release themselves from this intellectual/spiritual/material control grid will see the magnitude and depth of this wretched agenda. Then, and only then, will one be able to pierce the pervasive veil of lies being espoused and be better equipped to help others accomplish the same. Rise Of The Fourth Reich, by Jim Marrs. Pg. 298. If conventional wisdom on the history of the human race is correct, then human civilization is not old enough, nor was it advanced enough, to account for many of the mysterious monolithic and archeological sites around the world. Places like Gobekli Tepe in Turkey, the Bosnian Pyramids, and Adam’s Calendar in South Africa, beg the same question: if human civilization is supposedly not old enough to have created all of these sites, then who, or what, had the capacity to create so many elaborate structures around the globe? It is clear that our understanding of our own history is incomplete, and there is plenty of credible evidence pointing to the existence of intelligent and civilized cultures on Earth long before the first human cultures emerged from the Middle East around 4000BC. The Admiral Piri Reis world map of 1513 is part of the emerging more complete story of our history, one that challenges mainstream thinking in big ways. Mapmaking is a complex and civilized task, thought to have emerged around 1000BC with the Babylonian clay tablets. Antarctica was officially first sighted by a Russian expedition in 1820 and is entirely covered in ice caps thought to have formed around 34-45 million years ago. Antarctica, therefore, should not be seen on any map prior to 1820, and all sighted maps of Antarctica should contain the polar ice caps, which are supposedly millions of years old. A world map made by Ottoman cartographer and military admiral, Piri Reis, casts some doubt on what we think we know about ancient civilization. 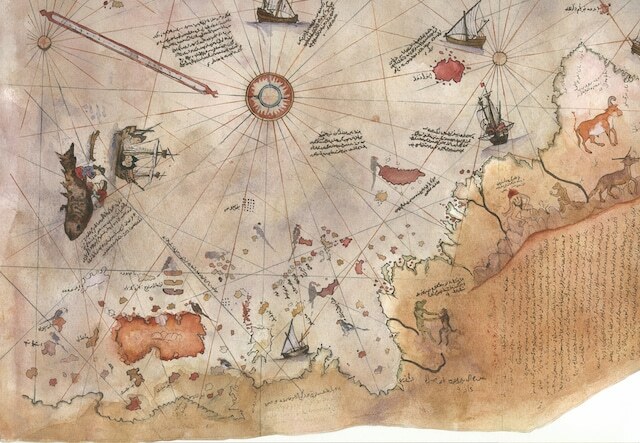 The Piri Reis map, which focuses on Western Africa, the East Coast of South America, and the North Coast of Antarctica, features the details of a coastline that many historians and geologists believe represents Queen Maud Land, that is, Antarctica. Remarkably, as represented in this map, the frigid continent was not covered in ice caps, but, rather, with dense vegetation. How could a map drawn in 1513 feature a continent that wasn’t discovered until 1820? And if the continent had in fact been discovered by one of the civilizations known to have emerged after 4000BC, why were the ice caps not on the map? One hundred years ago, Ludwig von Mises’s The Theory of Money and Credit was published. Because this was Mises’s first great contribution to human understanding, we should also celebrate this year as the centennial of the start of his career as a creative genius on the world stage. The young economist had already mastered his science. He probably could have written something like his later magnum opus Human Action — a systematic exposition of economics and the case for classical liberalism — right then in the second decade of the 20th century. 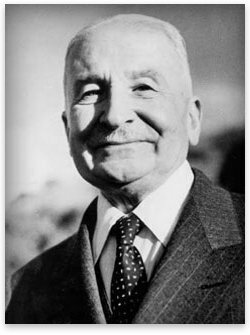 But as fate would have it, Mises — whose ideas represented the apogee and fulfillment of the classical-liberal tradition — came on the scene at the precise moment when the Western world completely foreswore that tradition, embraced the total state, and hurled itself headlong toward self-destruction. Peace and the market were abandoned for war and planning. Mises was theultimate knight of liberalism in two senses: he was the greatest and the last. Other scholars of comparable qualifications were given safe roles in war-planning offices. But Mises, whose liberal ideas were out of step with the establishment in Austria, was put directly in harm’s way. One of history’s greatest geniuses was a single air burst away from having his career nipped in the bud. RESOURCE investing guru Jim Rogers says the bull market in commodities is far from over. Speaking with IndexUniverse.com managing editor Olly Ludwig, in an interview posted at Hard Assets Investor, Jim Rogers stressed that while any bull run will have its setbacks, China’s development is likely to re-accelerate, and thatGold Bullion will resume its more than decade-long climb upward as central banks around the world continue their easy money policies. Rogers said he just hopes he’s smart enough to Buy Gold —and a lot of it—when the yellow metal’s current correction is over. Olly Ludwig: What did you think of recent central bank actions? Jim Rogers: I find it absurd. It’s the wrong thing to do. They are just adding to the inflationary pressures that are here, and we’re all going to have more problems down the road. Olly Ludwig: China’s announcement of a 25 basis point cut is decidedly different than the European central bank cutting by 25 basis points, no? Jim Rogers: I don’t think either one of them should have cut by 25 basis points–neither the Chinese nor the Europeans. Olly Ludwig: So how do you contrast the Chinese cutting rates with the excesses you perceive with the loose-money policies of the Federal Reserve or the ECB? Jim Rogers: China doesn’t have the excesses that we have in the US or even in Europe. 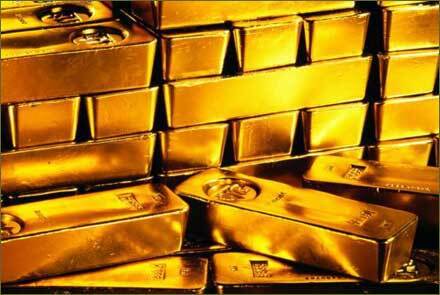 China has huge reserves of currency, while America is the largest debtor nation in the history of the world. They are not comparable situations. But as far as inflation goes, China has inflation and this is just going to make its inflation worse. If I were China—and I’m not, and there’s no reason for it to listen to me—it should keep monetary policy tight until inflation is killed. It’s not killed yet, and this is not going to help kill it. Olly Ludwig: Let’s talk about China for a moment. There’s a fair amount of talk that the China juggernaut is at a crossroads, that what Deng Xiaoping achieved in the past generation was the easy part, and achieving steady growth is going to be a lot harder going forward. What’s your take on that view? Jim Rogers: There’s no question that the first 30 years are the easiest 30 years when you’re doing something like Deng Xiaoping did. And, secondly, there will certainly always be setbacks. Any country, any company, any family, any individual that rises has setbacks along the way. That’s the way the world works. It’s normal. And, as we just discussed, China has been trying to slow its economy for the past three years. Anyone who doesn’t understand that China is slowing down should read the newspapers. And, I as I was just saying, they’re trying to loosen up too soon. But this is part of a plan. They have been successful so far, but whether they will continue to be successful, who knows? In America, in the 19th century, we had a horrible Civil War; we had many Depressions; we had very little rule of law; we had periodic massacres in the streets; and we had few human rights. And yet we became an extremely successful country in the 20th century. China is going to have plenty of problems as we go along. What they’re going to be and when and why, I don’t know. But I do know there are going to be plenty of problems. The next installment in the Ancient Knowledge Series by KilluminatiTheMovie covers another adjunct of significant information that has been downright suppressed. To date, this might just be the most thought-provoking segment of the series as it grazes our hidden history in a really incisive way with information provided in great detail by Michael Cremo, who is author of Forbidden Archeology – The Hidden History Of The Human Race. Historical misconceptions are also tested to the brink in the earlier portion of this video with Bruce Lipton Ph.D who is author of The Biology Of Belief. Part 4 of the Ancient Knowledge series focuses on the secrets of how the pyramid could have possibly been built. 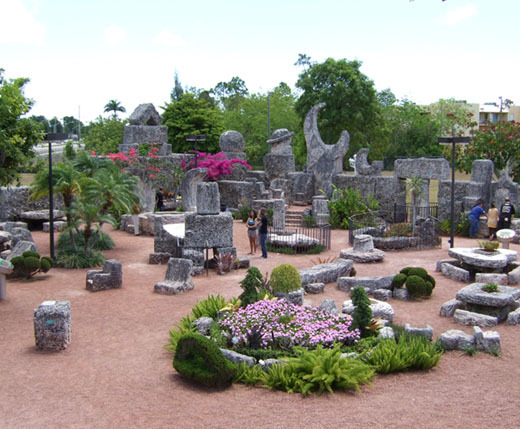 In true Da Vinci Code fashion, the clues left by Edward Leedskalnin send us on a journey of enlightenment in attempting to figure out how he built his lime stone monument with the clues left within Coral Castle in Homestead, Florida.